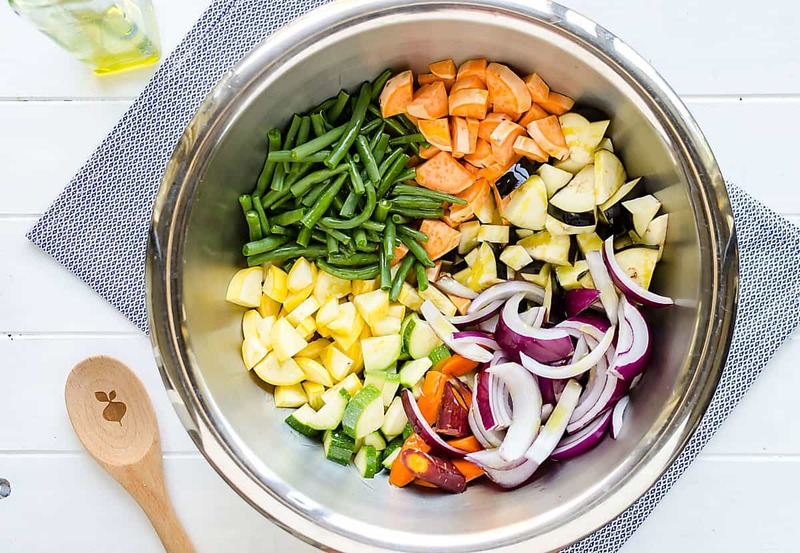 Easy Roasted Vegetables ~ Endless Flavor Combinations ~ Effortless! 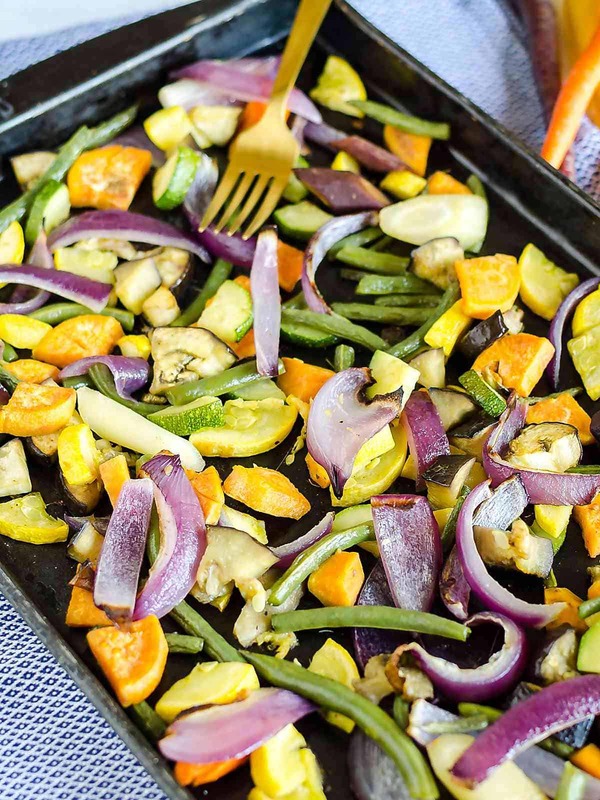 These Easy Roasted Vegetables are lightly seasoned and full of flavor. A cinch to make and the perfect side dish to just about any meal. 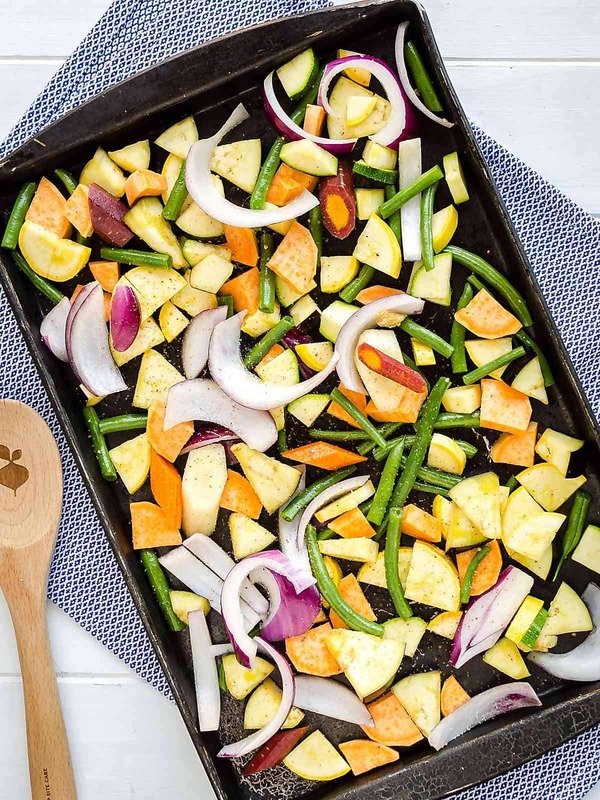 Every time I ask my husband what he wants for dinner, he almost always suggests oven roasted vegetables. I just got back from North Carolina where I attended a conference and had the opportunity to catch up with one of my dearest friends Laura. She was the Matron of Honor in my wedding, but moved away shortly afterward, so I hardly get to see her anymore. I find the best thing about dear friends, is it often feels like you just picked up where you left off and no time has gone by. After being out of the kitchen for few days, sometimes I lose my motivation. I know, you can you believe it? Someone SO passionate about food? It happens. So this was a fabulous dish to make after returning home because it’s almost effortless. It’s always good to have a few of those in your back pocket! This Sesame Ginger Chicken is a favorite in our family and takes literally 5 minutes prep. We also love Sheet Pan Chicken Fajitas. I typically serve Roasted Vegetables as a side dish, but we have been known to eat them over rice or quinoa as a main meal. They’re a cinch to make and they’re super versatile. You can change up your veggies or change up your seasonings, add a sauce, the sky is the limit. You’ll never be bored! Oh, and did I mention they’re good for you too? Roasting vegetables in the oven is one of my favorite ways to cook them. 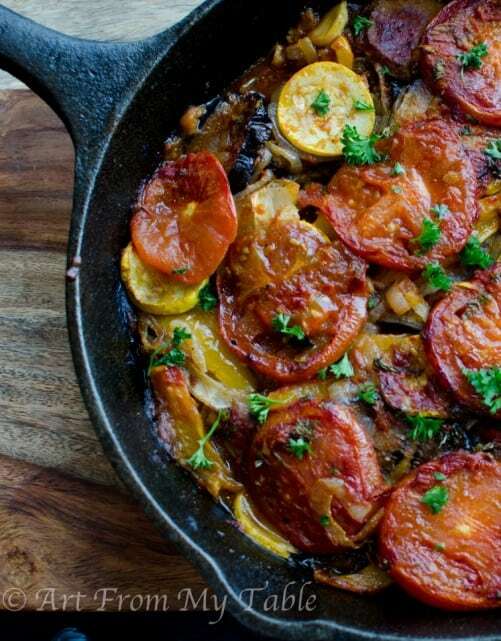 One pan… need I say more? Okay, if you know me at all, you know I have a lot of words, 😉 so I will in fact tell you more. These rimmed baking sheets work great for this recipe. Make sure you get a ‘half sheet’ pan. Actually I love the flavor that roasting brings out. What you end up with really depends on the vegetable you’re using, but typically the flavor becomes sweeter, sometimes milder, and often richer. How about with Mac & Cheese? The flavor combinations are endless, but here are a few to get you started. 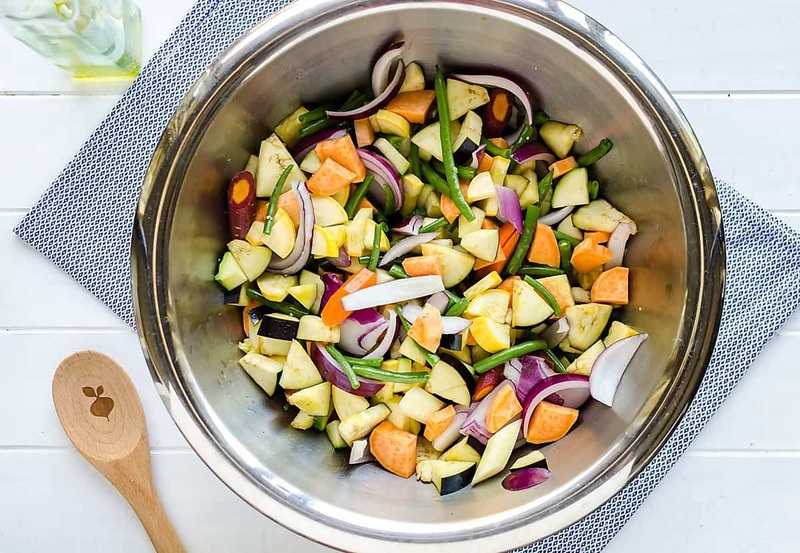 These easy roasted vegetables will easily feed a crowd, or use them as leftovers! I hope you enjoy them as much as I do! Combine vegetables, oil and seasoned salt and toss well to coat. Spread out on two baking sheets. Roast 15 minutes, then toss. Rotate the pans if they are on different racks in the oven. Roast another 10-15 minutes. Love veggies? 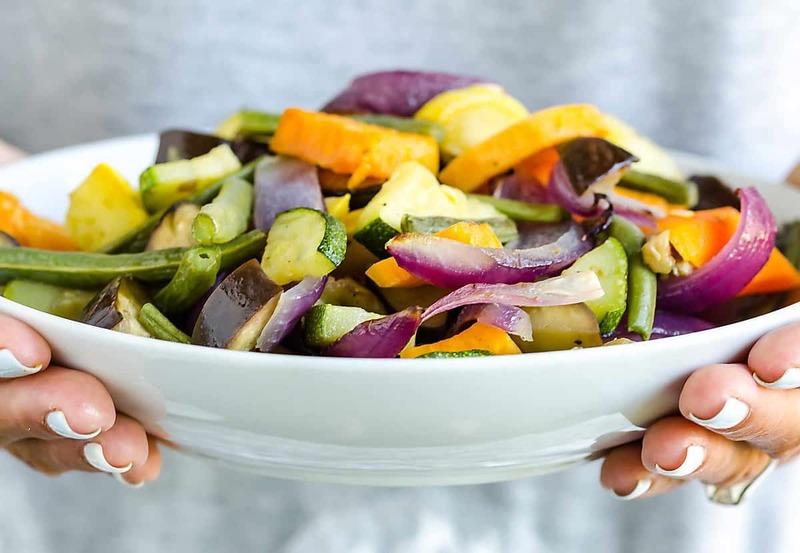 Try this Baked Vegetable Medley. 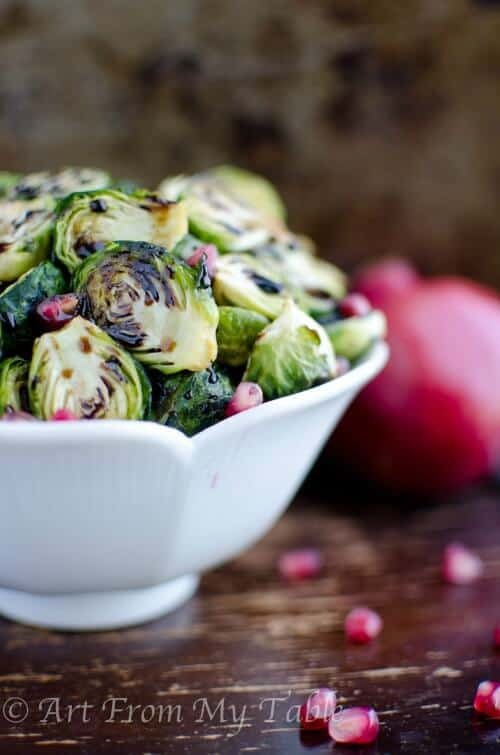 Or, how about some Brussels Sprouts? The glaze on these is incredible!